Looking at this table, it will give you the vintage feel instantly. It has one main cabinet with doors to it and two drawers at the bottom. The metal work on the door looks stunning. This table will be useful in kitchen and other part of house. You can keep your favorite vase, urn, figurine on the top. 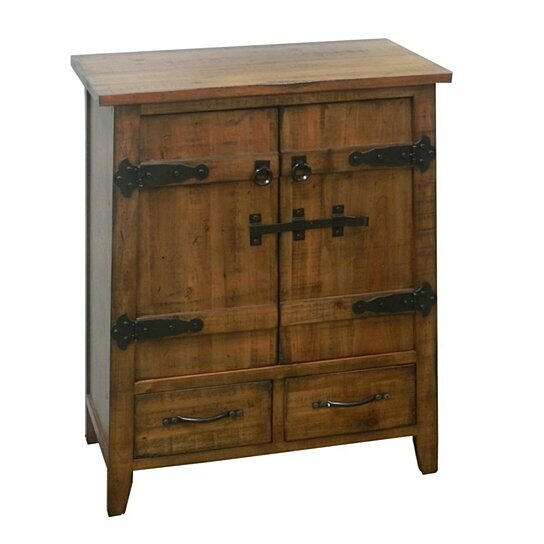 It is one exclusive piece of furniture, which will look incredible in any room of your home.